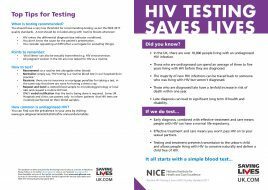 It’s not just the public who need education about HIV, its symptoms, and the importance of testing: at Saving Lives, we’re committed to spreading the word within the clinical community, too. 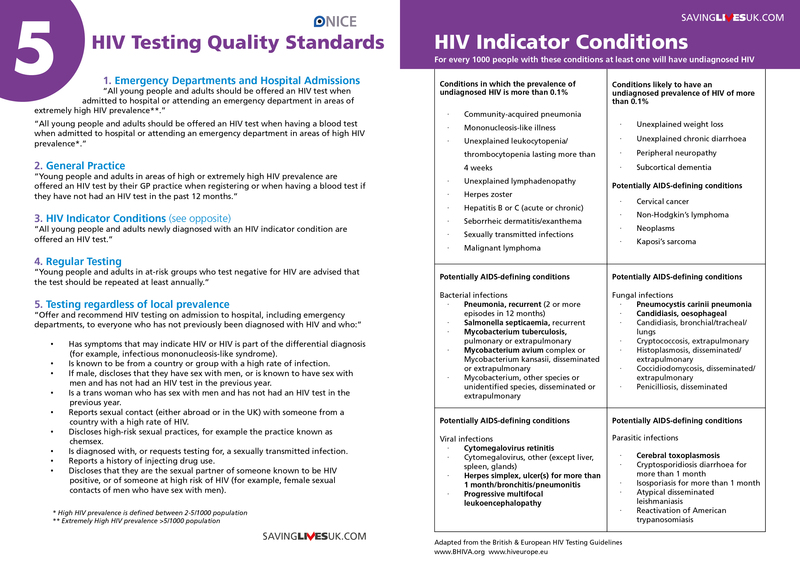 Our clinical indicator leaflets have proved hugely popular with clinicians nationwide who are interested with undertaking effective communication work amongst non-specialist clinical groups. We are able to offer items for download for reference and distribution within your NHS organisation. 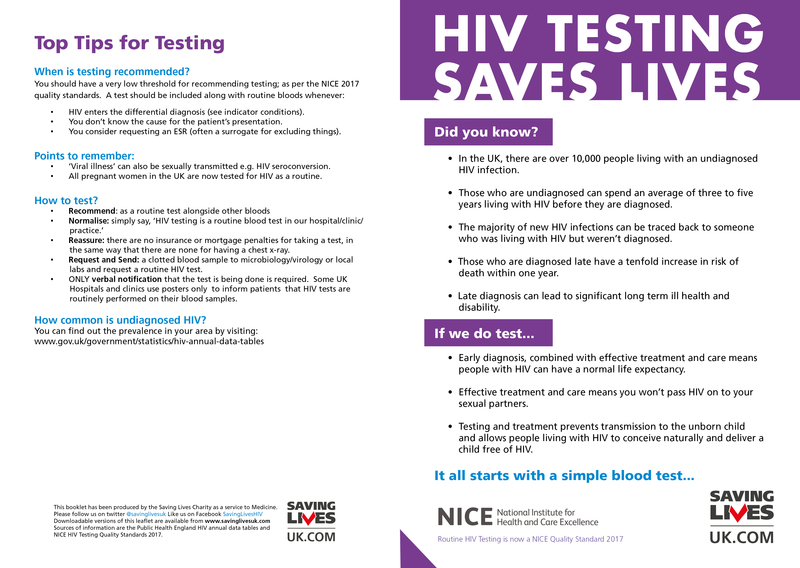 We currently offer a high-res PDF version of a leaflet laying out clear HIV testing protocols for hospital doctors. You can also download these JPEG files, which include space to add your own logos and contact details.